Holistic Casino Guide / Casino News & Discussions / To Bonus or Not to Bonus? 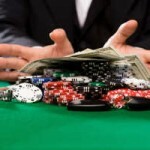 In this article I want to talk about the welcome bonus online casinos offer to new gamblers. When I craft a casino review the bonus is one of the first things I have a look at. Operators use it as ”bait” to attract new players. The bonus is not a stand-alone entity any more, nowadays it’s also coupled with free spins. In essence most operators add the free spins to sweeten the pot. Once you’ve read this article hopefully you’ll be able to decide whether the bonus will be advantageous to you or not. Is the Sign Up Bonus Any Good? This depends on various factors. As a player I’m not particularly fond of the deposit or match bonus since I don’t like being tied down by wagering restrictions. Each deposit bonus offered has a set of play-through requirements attached to it that must be cleared first before a cash out is permitted. Also, it can only be used to play certain games such as slots, keno or scratch cards. These games are normally high-variance. In other words, they’re quite volatile and offer the best return to the casino. The industry standard, bonus wagering requirements is 30 times, anything more than this is considered steep. Most operators impose a max. bet rule of 10% of your initial deposit. Therefore, if you deposit $20, you are not allowed to wager more than $2 per spin until you’ve completed the wagering requirements. Here’s an example of Casino Del Rio’s T&C’s of the bonus: ”Delrio Casino limits the maximum bet amount that players may bet using first & second deposit bonus funds. The maximum amount per bet is $20 on any given game.” This is a safety mechanism the casino employs to protect itself against high rollers. You must be able to cash it out once you’ve cleared the wagering requirements attached to it. If the terms and conditions of the bonus is more than 60 times, the bonus is regarded steep. ”Sticky Bonuses” on the other hand is when the bonus is deducted from your cash balance once you’ve completed the wagering requirements. Can the bonus be used to play progressive jackpots? Then again this depends on the operator. Very few online casinos allow players to use the bonus to play progressive games. If the bonus can be used to play progressives, keep in mind that these games are extremely volatile. More often than not the wagering requirements are also very steep and progressive wins are included in the withdrawal limit. Can the bonus be used to play table games? Yes it can but there’s a catch. Casinos know that games like blackjack, baccarat and roulette offer a low house edge. This is why the bonus only counts a fraction towards the clearing of the wagering requirements. If you do accept the bonus you must wager more cash before you can withdraw any winnings associated with it. Look at this example: Casino Del Rio states in its T&C’s that all varieties of blackjack, baccarat and roulette only contributes 25%. What does it mean? For every $100 wagered only $25 counts towards the clearing of the wagering requirements. In my opening paragraph I mentioned the free spins. When you accept the bonus, you’ll also receive an X-amount of free spins. In most cases the free spins offered also has play-through restrictions attached to them before any winnings can be cashed out. Basically this is a double whammy since the player is slapped with a wagering requirement attached to the bonus and the associated free spins. Let’s have a look at Long Harbour Casinos’ bonus terms. This is one of my favorite sites but the wagering restrictions attached to the deposit bonus and free spins is not in the best interest of the player. As much as I hate to admit it the bonus gives your bankroll a nice boost and it allows you to play certain games with an otherwise limited budget. Before you accept a bonus understand its terms and conditions; the games that count towards the wagering requirements and the payout percentages of the games. I firmly believe that when choosing a bonus the above mentioned criteria will stand you in good stead. Next Story →How Long Must I Play a Slots Machine?